We know you love your dog. We also know that many of you love tweed. So we imagine that our new Thornby collection will be quite a hit. Especially when it’s woven in Scotland with yarn spun from the wool of the Cheviot sheeps. 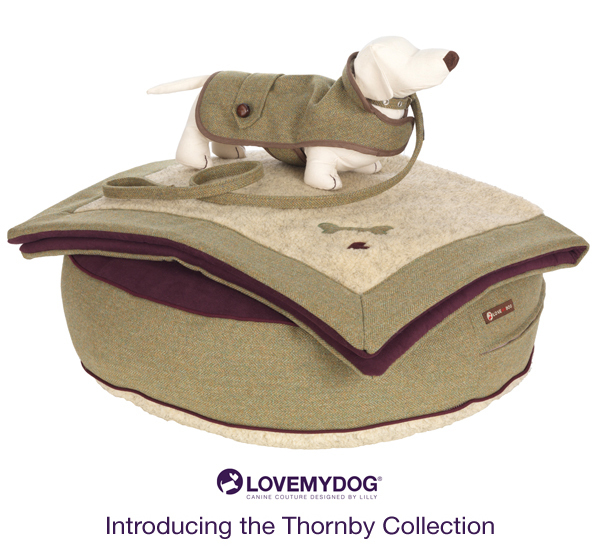 The brand new Thornby collection from Love My Dog not only looks fantastic. It is also both Teflon coated and stain resistant (this traditional tweed is backed with soft washable suede). It’s available to purchase now and you can accessorize your pooch with the matching dog lead, blanket, bed and the Thornby designer dog coat which is also available in this tweed cloth. The entire Thornby Collection can be viewed in our online shop.